Zoe (1911-1979), Micol (b. 1913), and Giovanna (b. 1915) Fontana were born in Traversetolo, near Parma, Italy. They learned sewing and tailoring from their mother, Amabile Fontana, who opened her own tailor shop in 1907. The three sisters became apprentices as soon as they were old enough to handle needles and scissors. Legend has it that the work was hard and unpaid and that the sisters worked Saturdays and Sundays. Despite the long hours, the sisters' memories of childhood are happy ones, and they look back with fondness on the years spent in the large, quiet house surrounded by greenery. Micol writes often of her childhood experiences in her memoir, Specchio a tre luci. "We were never alone, but always accompanied by our mother's love" (p. 20). In the 1930s Zoe, the eldest of the three, left Traversetolo to become an apprentice in Milan. Micol joined her there, while Giovanna remained in the countryside. Shortly after her marriage in 1934, Zoe moved with her husband to Paris, where she continued her apprenticeship in an atelier. After returning to Italy in 1936, Zoe, excited by her experiences in Paris, moved to Rome. In her memoirs she treats this major turning point in her life casually: "I took the first train that arrived…. It could have gone north or south. It happened to be going south, to Rome" (2001, p. 14). After her sisters joined her in Rome, Zoe went to work for Zecca and Micol for Battilocchi; Giovanna sewed garments at home. Based on their experiences in Milan and Paris, the sisters felt they were ready to go into business for themselves. Although French fashions were still dominant in the world of haute couture, the sisters opened their own workshop in Rome in 1943, changing the name from "Fontana" to "Sorelle Fontana" and leading members of the Italian aristocracy soon began patronizing it. However, their Roman clientele would not have been sufficient to cement the Fontana sisters' reputation if Hollywood had not discovered Italy and la dolce vita romana in the 1950s. One of the events that helped secure their international reputation was the marriage of the Hollywood actors Tyrone Power and Linda Christian, whose wedding gown the Fontana sisters designed. The ceremony was held in the basilica of Santa Francesca Romana in Rome in 1949. The gown was constructed of white satin, with a five-yard train, and was covered with embroidery; it resembled a dress that might have been worn by a fairy tale princess. The international press covered the event, and photographs of the ceremony and a radiant Linda Christian appeared in papers around the world. A magazine published for foreign tourists in the 1950s proclaimed, "Rome? Twenty minutes in St. Peter's, twenty in the Coliseum, and at least two days in the Fontana sisters' studio" (Soli, p. 75). 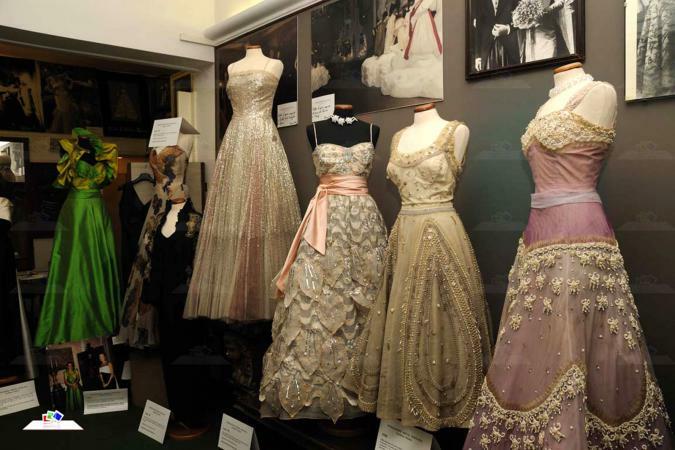 In 1951 the Fontana sisters participated in the first fashion show held in Florence, which was organized by Giovanni Battista Giorgini, the promoter of Italian fashion and organizer of catwalk shows at Sala Bianca, Palazzo Pitti. That same year Micol Fontana left for Hollywood, arriving in the United States as the guest and personal friend of Tyrone Power and Linda Christian. Power organized a show for her because he wanted to introduce other members of the Hollywood community to the Fontana sisters' designs. From that moment on, the Fontana sisters began designing for many of Hollywood's best-known stars, from Ava Gardner to Elizabeth Taylor, and started developing a varied international following as well. Margaret Trujillo (the Santo Domingo dictator's wife who ordered Sorelle Fontana's atelier 150 dress), Grace Kelly, Margaret Truman (President Harry S. Truman's daughter), Jackie Kennedy, Soraya Esfandiary, Marella Agnelli (of the family that runs the Fiat), and Maria Pia di Savoia, (one of the daughters of last king of Italy, Umberto of Savoia) were some of their regular customers. From Linda Christian Marriage, they also specialized in celebrities' wedding dress: Margaret Truman (1956), Janet Auchincloss, Jacqueline Kennedy's sister (1966), Maria Pia di Savoia (1955), whose dress is now shown at the Museum of Art and Costume in Venice, and Angelita Trujillo, the daughter of the Santo Domingo dictator (1955), are some examples. In 1957 the Fontana sisters were received by Pope Pius XII to mark fifty years of tailoring begun by their mother, Amabile. In 1958 they were invited to the White House as Italy's representatives to the Fashion around the World conference. In 1960, at the request of American customers, they introduced a line of ready-to-wear. This product launch was followed by a line of furs, umbrellas, scarves, costume jewelry, and table linen. Because of the careful division of labor among them, the three sisters were invincible: Micol traveled around the world-Japan, Europe, and ninety-four trips to the United States, Zoe handled public relations, and Giovanna monitored work in the studio. In 1972, while continuing their work in couture and ready-to-wear, the sisters withdrew from most of the official fashion shows. In 1992 the Fontana label and the company itself were sold to an Italian financial group. In 1994 Micol created the Micol Fontana Foundation, the mission of which is to promote fashion and the training of talented newcomers. The Fontanas' designs, although they referred to French models, were inspired by eighteenth-century modes of dress, which were based on designs of the early Renaissance. The sisters were able to navigate between Parisian haute couture, an essential reference point, and the originality of the Italian fashions with which American women had become enamored. The sisters' designs were known for craftsmanship and intuition. Embroidery, lace, and impeccable tailoring were characteristic of their garments. They specialized in formal wear and evening gowns and used the most precious materials, including silk and velvet. Their ideas came from a wide variety of sources, but their designs, for the most part, were Italian in inspiration. Quintavalle remarked that the Fontana sisters "redeemed the Italian culture that Fascism had disfigured, restricting it within the confines of a local culture" (Bianchino, p. 43). The sisters' love for America continued to deepen. In her diary Micol writes that she felt more at home in America than in Italy and that public relations was not the only reason she traveled. Micol was a close observer of the way Americans dressed, and she tried to determine exactly what they wanted to wear. The sisters' relations with the international jet set, and especially with Hollywood and the film industry, were one of their strengths; in fact, Nicola White remarks that it is unlikely they would have been able to achieve such fame without their connection to Ava Gardner, as well as to other stars like Myrna Loy, Grace Kelly, Audrey Hepburn, and Kim Novak. 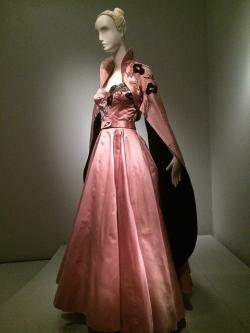 However, their skill as couturiers, which allowed them to compete with Dior's Paris, cannot be overlooked. The clothing they created was designed for the individual client. Zoe, known as the "golden scissors," could cut and drape as well as the best designers in Paris. Renato Balestra and Alain Reynaud, the creators of Biki, are among the designers who had worked with Sorelle Fontana. By presenting some of their designs in newspapers-an innovation resulting from their ability to intuit future developments in fashion-they took another step in consolidating their fame, completely altering their relationship with the public. Unlike other designers, their relations with their clients did not develop through frequent customer visits to their studio, which had typified the role of the designer until then. Most of their clients learned of them through the media and wanted to meet the sisters so they would design something for them. In this sense they helped lay the foundations for the star designers of the future. Italian cinema put the atelier of the Sorelle Fontana under the spotlights when it became the set for the film Le ragazze di piazza di Spagna by Luciano Emmer (1953). The Fontana sisters also designed the costumes for Ava Gardner in The Barefoot Contessa, a film released in 1954. One of their designs, the "cassock dress," which was made for Gardner in 1956, was used by the costume designer Danilo Donati for Anita Ekberg in Federico Fellini's film La dolce vita. The Fontana sisters' work has been presented in several exhibitions and designs are exposed in the museums internationally: the Metropolitan Museum of Art in New York, the Metropolitan Museum of Art in San Francisco, the Museo d'Arte e Costume in Venice, and the private library of Harry Truman. See also Evening Dress; Haute Couture; Wedding Costume. Bianchino, Gloria. Moda dalla fiaba al design. Novara, Italy: De Agostini, 1989. Fontana, Micol. Specchio a tre luci. Roma: Rai Radiotelevisione Italiana, 1992. Giordani Aragno, Bonizza. 900 Il Secolo Di Moda: Sorelle Fontana. Roma: Fondazione Micol Fontana, 2001. --, ed. Storia di un atelier: Sorelle Fontana 1907-1992. Rome: Logart Press, 1992. Pisa, Paola. "Sorelle Fontana." In Dizionario della moda. Edited by Guido Vergani. Milan: Baldini and Castoldi, 1999. Soli, Pia. Il genio antipatico. Milan: Arnoldo Mondadori, 1984. White, Nicola. Reconstructing Italian Fashion. London, New York: Berg, 2000.